← What’s the Best Love Story of All Time, Andrea? Well, it’s that time of year again. The week of love is here (otherwise known as the week of sympathetically tilting your head to the side whenever you ask a single person what they’re doing this Friday). We’ve been getting into the Valentine’s Day spirit here at the agency and we thought it was about time we asked Darley’s angels to decide once and for all what the best love story of all time is. Sheila, what is the best love story of all time? 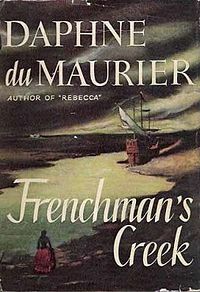 My vote goes to Daphne du Maurier’s Frenchman’s Creek. Set in 17th Century England, the plot sees a frustrated society beauty, running from her meaningless life in London, to try to find some peace and contentment in her house on the Cornish coast. She finds something else, discovering French smugglers have been using a hidden creek on her land to conceal their ship and evade English justice. The pirate captain is an enigmatic man; artist and adventuring thief, and to whom she becomes both muse and fellow daredevil. They fall in love and go on swashbuckling exploits. Perhaps not the best fare for Valentine ’s Day unless you hold with the ‘better to have loved and lost’ line of thought. For those who love romance or Cornwall or both. What do you think? 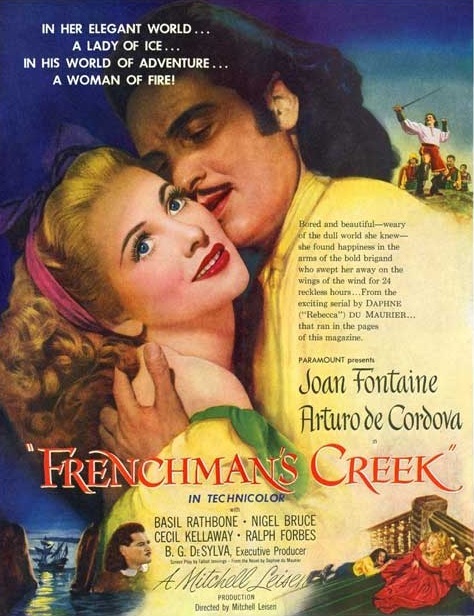 Is Frenchman’s Creek the best love story of all time? Let us know in the comments. This entry was posted in Interviews, Meet the DA team and tagged Daphne du Maurier, dramatic rights, Frenchman’s Creek, literary agency, literature, love story, Sheila David, writing. Bookmark the permalink. 1 Response to What’s the Best Love Story of All Time, Sheila?